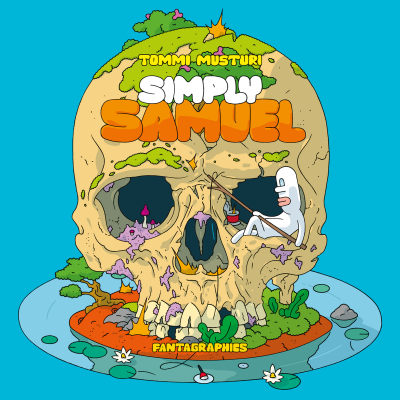 Simply Samuel is a silent graphic novel picaresque and metaphoric meditation on life and being alive. This breathtakingly colorful and visually inventive book unfolds in front of the reader as a puzzle of short stories and momentcapturing images. Samuel is a pale ghost-like character who wanders through a colorful world. He exists almost invisible to his surroundings, a hero of the ordinary. The wordless story of Samuel deals with themes of individuality and loneliness, and of freedom, pondering our daily actions and the choices and values behind them, all evidenced by Samuel’s peculiar actions. Musturi’s clear line expresses precise storytelling and a controlled psychedelia of color and form that surprises the reader over and over again.